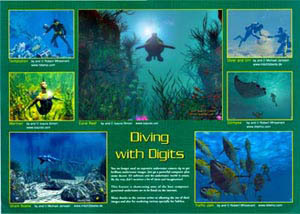 SubSea Magazine published an article entitled Diving With Digits where they used two of my images to illustrate the story for their Summer 2001 issue. You can read the full article at their site: SubSea Online. This will open a new window.